It seems like The Daily Show’s producers are very fond of South African comedy as they have decided to add another local comedian to their sequels. Handpicked by the show’s host Trevor Noah (who is also from Mzansi), Loyiso Madinga is gearing up to be the show’s African correspondent. 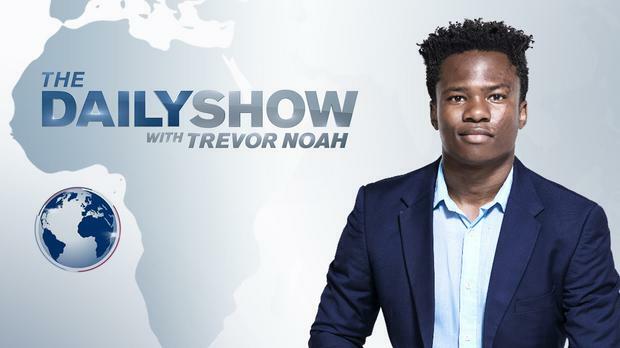 Loyiso was selected to join The Daily Show team for his award-winning comedy and conversation skills. “As wild as Donald Trump is for America, many countries around the world have Trumps of their own and since The Daily Show is in many countries, we thought ‘why not give each country a chance to show off their stable geniuses?,'”said Trevor Noah. Loyiso said he was excited to be a voice for local satire and help break stereotypical perceptions of the continent. The young comedian’s first field report from the ANC elective conference will debut in Africa on Comedy Central on Thursday, January 11 at 9.30pm. Loyiso hails from a little village in the Eastern Cape. The young comedian left a career in advertising to follow his passion for comedy. He won the Graça Comedy Showdown in 2012 (just 3 shows after his debut) and the 2014 Savanna Newcomer Award. ← Did Khanyi Mbau just confirm split from Tebogo Lerole? Trevor Noah is definitely flying back home for the MTV Africa Music Awards!